Toshiyuki Nishida was the cover star of the November 2004 issue of "Eye-Ai" magazine! He was born on 14 November 1947 in Koriyama City, Fukushima Prefecture, Japan. After he left school, he joined the Japan Acting Academy, then the Youth Theatre Actors' Training School. He graduated in 1970, and landed the lead in Seiichi Yajiro's play "Sharaku Ko", which got him noticed. During the 1970s, he appeared in many productions, winning the Best Actor award in the Geijutsusai for his performance in "Watashi Wa Rubi" in 1975, and then the 12th Kinokuniya Prize for Acting for his second appearance in "Sharaku Ko". He made many appearances on TV from 1973 onwards - his characteristically vague expression, friendly appearance and peculiar use of the Fukushima dialect made him a popular figure with viewers. He also appeared on radio during this time. In 1977, he made his debut as a singer with "Momen no aijo", and got the Golden Arrow Prize later that year. One of his most well known songs is "Moshimo Piano Ga Hiketanara (If I Could Play Piano)". Toshiyuki's highly successful film career began with bit parts in the early to mid-1970s. His first starring role was as the 9th generation Kosuke Kindaichi in "Akuma Ga Kurite Fue O Fuku" in 1979. 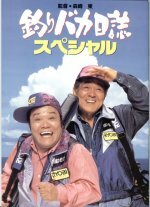 - The very popular "Tsuri Baka Nisshi" series of films (in English "A Fishing Fool's Diary") feature Toshiyuki in great comic form as the fishing-obsessed character Hamachan. Toshiyuki starred as Pigsy in "Monkey" in 1978. Toshiyuki's character Pigsy was known as Chohakkai (Monkey always called him Hakkai) in the Japanese version. He only appeared in season 1 (the first 26 episodes), and was replaced in season 2 (the last 26 episodes) by Tonpei Hidari. The main reason for this was that, before NTV (Nihon-TV) had decided to make a second season of "Monkey", they offered him the lead role in a big drama project called "Ikenaka Genta 80kg". This heart-warming drama started in 1980, and was a big success for Toshiyuki. Toshiyuki is now one of the greatest actors in Japan, and has won many awards. His many TV shows have included "Always Have The Sun In Mind", "Salon De Kinshiro Toyama", the Toei TV series "Special Crime Investigation Front", and a major role in NHK's yearlong Edo period historical drama in 2000, in which he played Tokugawa Hidetada. Since January 2001, he has starred in a popular TV show called "Tantei Night Scoop (Detective Knight News)". In 2001, Toshiyuki played the lead role in the stage musical "Fiddler On The Roof" in Tokyo. He married his wife Toshiko in 1974, and they have two daughters. On Monday 3 March 2003, Toshiyuki Nishida suffered a heart attack and went into hospital for a few weeks. He made a good recovery, and was released from hospital 9 kilos lighter. On Sunday 27 April 2003, he turned up on the set for the 14th movie in the "Tsuri Baka" (Fishing Fool) series. If you have any information about Toshiyuki Nishida, or if you can help with any of the missing bits on this page, please let me know using the Monkey Feedback page, and I'll put the information here. http://www.nishidatoshiyuki.com/ - Toshiyuki Nishida's official website - it's awesome! It's all in Japanese - but some wonderful photos on the front page, from throughout his entire career. Monkey Photos - Toshiyuki Nishida - Toshiyuki Nishida photo gallery. "A Class To Remember" DVD - Buy Toshiyuki Nishida's film "A Class To Remember" (in Japanese "Gakko") on DVD from this web site for the equivalent of just 7 British pounds! Note - it's got English subtitles, and it's a region 3 / NTSC DVD from Hong Kong. You'll find a brief description of this film earlier on in this web page. Google Images search results for Toshiyuki Nishida - Shows the search results of searching on Google Images for Toshiyuki Nishida in Japanese character. Go to the bottom of the page and click on the numbers to go to the next pages of search results. To see the web sites found containing his name in Japanese characters, click on the leftmost tab at the top of the page, beneath the Google logo graphic, to the left of the selected tab for the Image search. 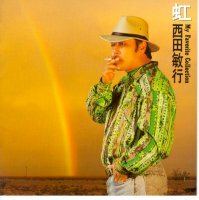 Toshiyuki Nishida items on CDJapan - Buy CDs of Toshiyuki Nishida's albums, but videos / DVDs of his films and TV shows from here. Tantei Knight Scoop - Web site for the TV show "Tantei Knight Scoop" ("Detective Knight News") that Toshiyuki Nishida has starred in since January 2001. See this page for a biography (in Japanese) of Toshiyuki Nishida, and the other characters. Diary of Crazy Fishing OFFICIAL SITE! - Lots of great photos from this film starring Toshiyuki Nishida. The Day I Met Pigsy - Details of the day I met Toshiyuki Nishida! Monkey Autographs - Toshiyuki Nishida - Toshiyuki Nishida autographs. Monkey Meetings - Toshiyuki Nishida - Meetings with Toshiyuki Nishida, the actor who played Pigsy! Filmography for Toshiyuki Nishida [Internet Movie Database] - Lists his movies and TV shows. Ryoma ga yuku (Ryoma Forever) - Information about a TV special starring Toshiyuki Nishida. A Class to Remember II - Review of this film. �������ޒj - Newspaper article, featuring a photo of Toshiyuki Nishida from 1997.